Amsonia tabernaemontana var. 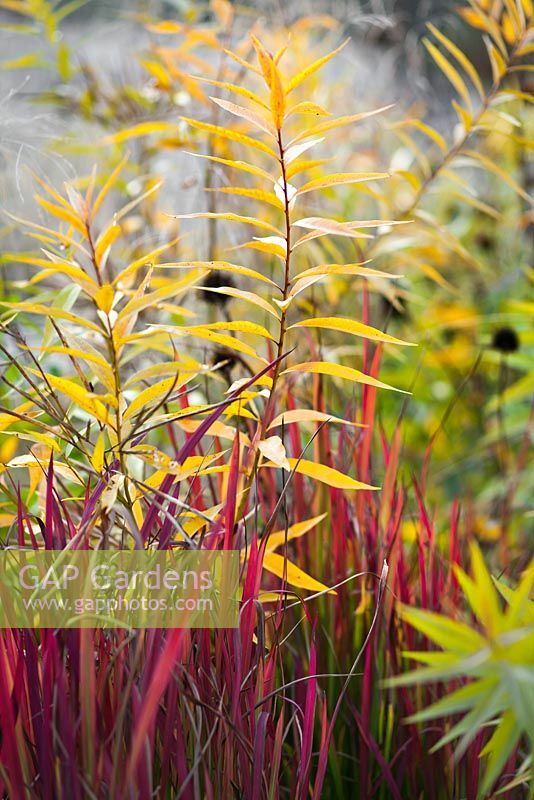 salicifolia and Imperata cylindrica 'Red Baron' in fall. Image 0558095 has been added to your cart.